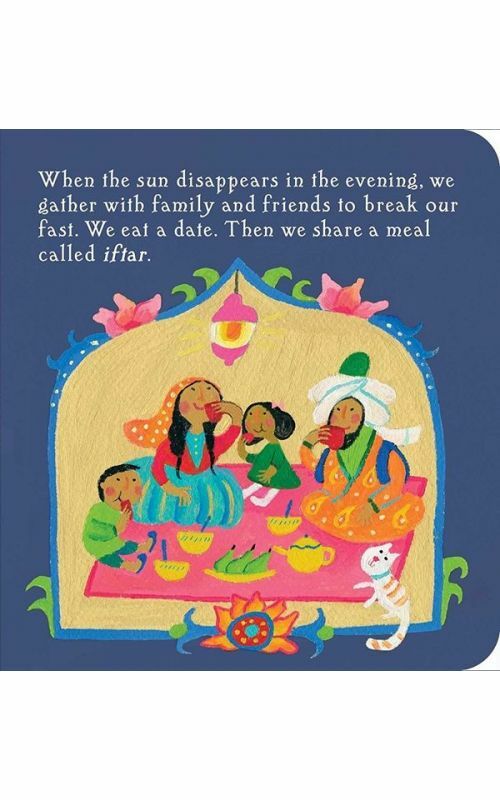 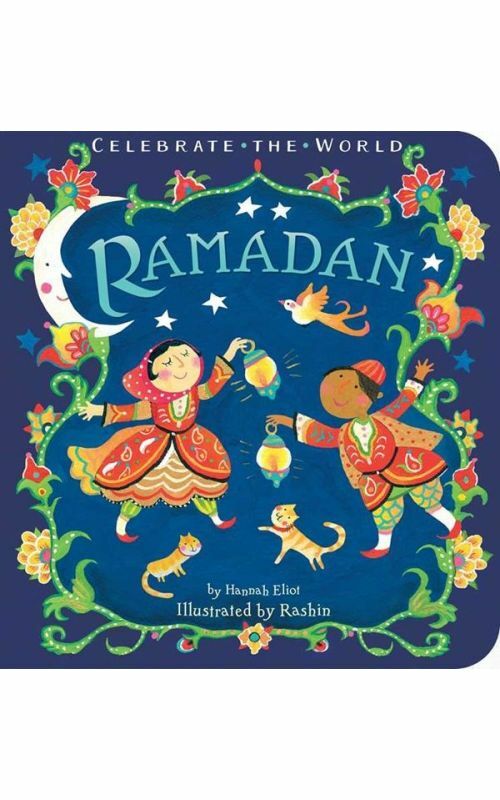 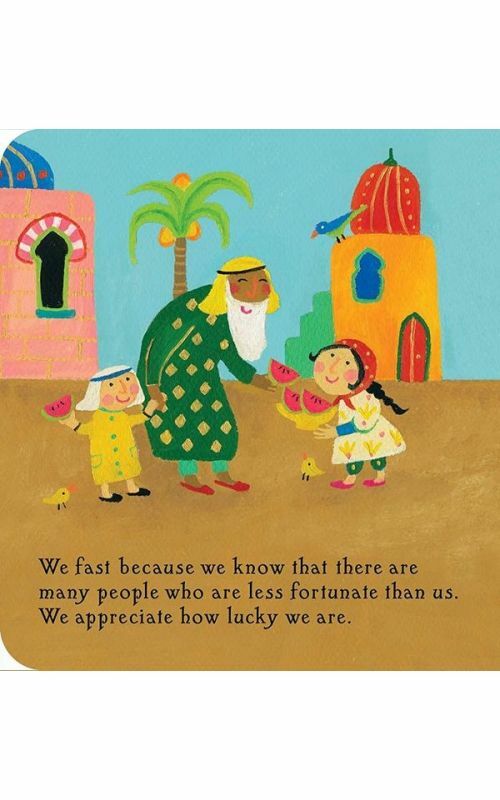 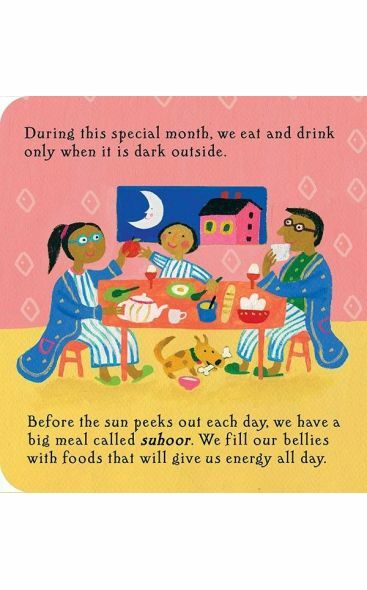 In this lovely board book with illustrations from Rashin Kheiriyeh, readers learn that Ramadan is a time to reflect on ourselves, to be thankful, and a time to help others. 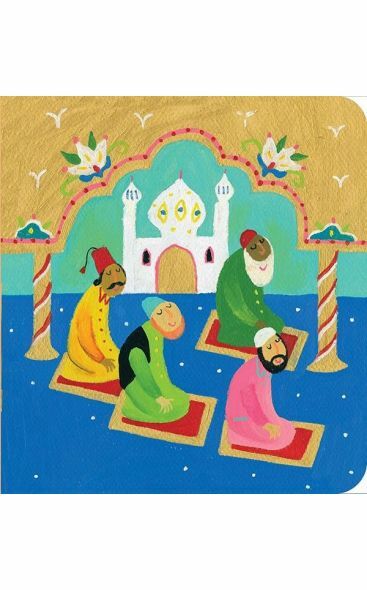 Rashin Kheiriyeh is an internationally recognized, award-winning author, illustrator, animation director, and painter who has published over sixty children’s books. 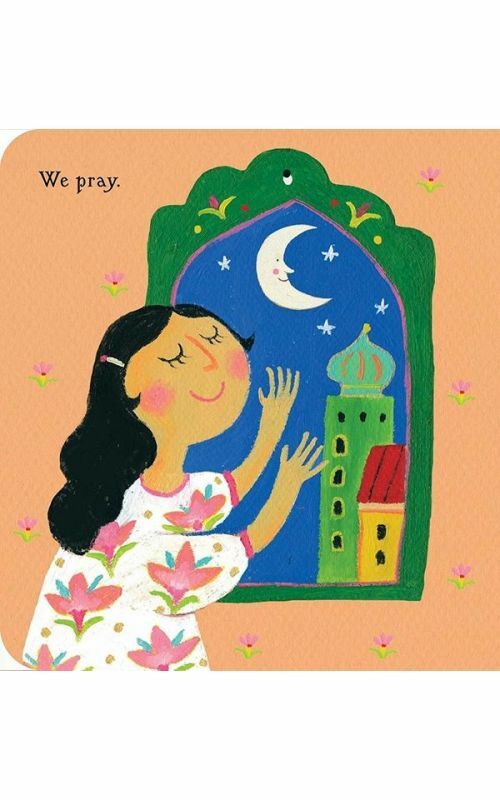 She has received numerous national and international awards, including being selected for the IBBY Honour List in 2014, and winning the New Horizon Award from the Bologna Book Fair as well as the Golden Apple Award at the Biennial of Illustration Bratislava in Slovakia. She has a PhD in children’s book illustration from Tehran, Iran, and her MFA in graphic design from Alzahra University. 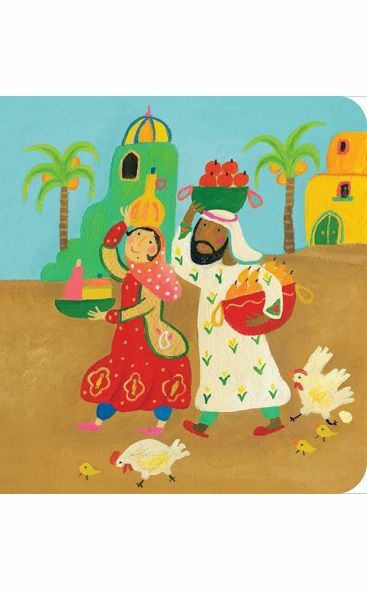 She also studied at the School of Visual Arts in New York. Currently, she is an art professor at the University of Maryland.